This designer collar is aqua colored and is 3/8" wide. 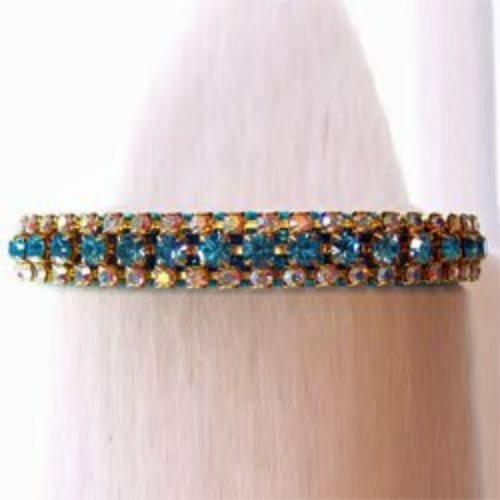 It has three rows of both aquamarine and crystal aurora borealis stones. The Aqua Diamond Collar is Absolutely Gorgeous!